« Spokane Bike Swap: Sell It! Swap It! Shop It! 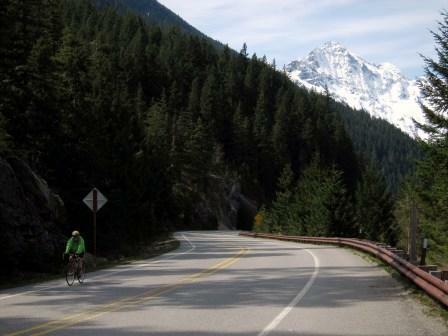 This stretch of the North Cascade Highway will soon be a part of USBR 10. Welcome to US Bicycle Route System (USBRS) in Washington State! 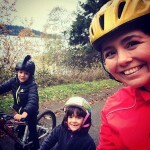 Washington Bikes is partnering with WSDOT to create the first of six planned national bike routes in Washington, US Bicycle Route 10. This route, part of the Northern Tier Route made famous by Adventure Cycling Association, spans the continent from Bar Harbor, Maine to Anacortes, Washington. The original core team is Ian Macek, WSDOT Bike/Ped Coordinator, Barb Culp, past director of the Bicycle Alliance, and me–John Pope, board member and coordinator of the mapping effort. We have recently been joined by 4 additional board members. The USBRS process involves working with jurisdictions and cyclists along a conceptual route corridor, selecting destination towns and finding the most bike-friendly combination of roads. Once the nominated route is complete, it is reviewed once again by the jurisdictions (towns, counties and WSDOT regions). The draft nomination then needs approval from the top transportation directors of the affected adjacent state, our state and finally the AASHTO USBRS numbering committee. Sounds daunting, but any journey of a thousand miles begins with a single step. Our first steps went well. 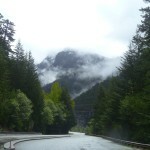 Over the winter we worked on the nominated route from the Anacortes Ferry Terminal to Rainy Pass in the North Cascades. Anacortes, the Swinomish Nation, Burlington, Sedro Woolley, Hamilton, Concrete and Skagit County jurisdictions, along with three major cycling advocacy groups (Skagit Bicycle Club, Active Communities Taskforce and Anacortes Bikes and Walks) all have filed resolutions of support, endorsing the nominated route. Great design review sessions with city staff and county staff have created alignment and added unexpected improvements. Planned revisions to a city park added camping for bike tourists and aligned shoulder revisions when they saw the draft USBR. Experienced input from local cyclists and ACA influenced the route significantly. Regional traffic planners were able to gather traffic loads, shoulder widths and road surfaces to help determine best route choices. It takes input from all sources and the USBRS standards to come up with a harmonized route nomination! Future blog posts will contain links to map segments and help our readers follow the process. With spring we are planning to move to the Okanogan next, and finally the Colville/Selkirk section. In addition, we will keep you informed of any challenges or enhancements to the draft USBR 10 route. This article was posted in Infrastructure, News, Skagit County, Travel, USBRS and tagged USBR 10; USBRS; Bike Tourism. Bookmark the permalink. Follow comments with the RSS feed for this post. Both comments and trackbacks are closed.